The US embassy Tripoli held a meeting in Tunis for a number of US firms with the LLIDF to discuss possible future projects in Libya. The US embassy Tripoli (currently based in Tunis) organized a business meeting between a number of US companies and the Libyan Local Investment and Development Fund (LLIDF) in the Tunisian capital. The LLIDF, which was represented by its CEO Bader Ben Othman, is a subsidiary of Libya’s main sovereign wealth fund, the Libyan Investment Authority (LIA). It aims to promote private sector involvement in the development of Libya’s infrastructure and key economic sectors. 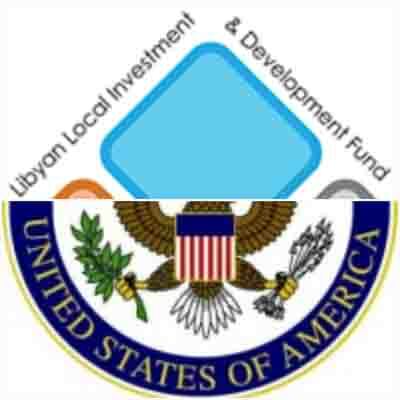 The LLIDF is estimated to have US$ 7.5 bn worth of funds available to fund projects across Libya. At the beginning of this month the US embassy Tripoli had invited US companies ‘‘to explore the potential for commercial and investment opportunities for US firms in upcoming development projects in Libya’’. The meeting was also attended by the US-Libya Business Association (USLBA) which reported that the meeting ‘‘brought together representatives of US government, US private sector, and Libyan economic institutions’’ focusing on ‘‘improving Libya’s infrastructure through utilizing the inward investment of Libya’s sovereign wealth’’. The USLBA also reported that ‘‘US companies from a range of sectors gave presentations about the skills and expertise they could bring to the Libyan market, while the LLIDF spoke about Libya’s infrastructure needs, its mandate to improve the quality of life of the Libyan people, and the flexible financing options it could offer for future projects. The potential for Islamically-compliant Sukuk bond issues to fund projects in the water and electricity sectors was highlighted’’. It will be recalled that the LLIDF had appointed Deloitte & Touche (ME) as its advisor in delivering infrastructure projects back in May 2014. The plan was that after an initial review of the Public-Private Partnership (PPP) strategy in Libya, the focus would be on developing LLIDF’s institutional capacity and designing the PPP delivery organisation. A number of sector studies were to be undertaken to explore opportunities to attract global private investment into Libya. This would be followed by implementing a number of PPP pilot projects aimed at stimulating Libyan economic development.